On Thursday 25 June at approximately 19:00 GMT, Michael Joseph Jackson suffered a heart attack at his rented home in Holmby Hills near Los Angeles. He was taken to UCLA Medical Center where medical staff attempted to resuscitate him for an hour. However, Jackson never regained consciousness and was pronounced dead some time later. Jackson had three children, Michael Joseph Jackson Jr, Paris Michael Katherine Jackson and Prince Michael Jackson II. He is survived by his mother, Katherine, father, Joseph and eight siblings - including Janet, Randy, Jermaine and La Toya Jackson. The cliché, ‘everybody will always remember precisely were they where the day Michael Jackson died’ may at first seem rather dramatic, but it is true. Within seconds of hearing news reports inthe UK that Michael Jackson had died, I immediately read blogs on the web from concerned and confused fans questioning whether these reports were just a hoax…. By 23:00 hrs GMT, the reports were confirmed! Whatever your creed, colour, or age, you will know the name ‘Michael Jackson’. 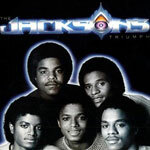 If you are black, possibly 40+ and live in the UK, you will probably remember being awe struck watching Jackson’s “Don’t Stop Till You Get Enough” video on Top Of The Pops in 1980. The next day we were all talking about it in school. Those were the days when a black face on television would make our heads turn. We wanted to have an afro like his, we wanted to sing like him, to dance like him. We knew it was very unlikely we would meet him…. he was just too cool. In November 1982, the groundbreaking album “Thriller” was released. Families all over the world huddled around their television sets to watch the premier of Thriller ‘the short movie’ in early 1983. This album and its associated videos would change the face of music and video production forever. The question is not “ which artist’s did Michael Jackson influence? More so, “which artist’s were not influenced by Michael Jackson? I remember the Jackson 5 / Osmond merchandise rivalry in the mid 1970’s. My sister was drawn into the Jackson 5 / Osmond poster rivalry at the time. The two super groups would pose for photographs on either similar flashy motorbikes or wear similar fashion clothes of the time. The posters would then adorn fans walls and be compared for coolness. I am sure even Osmond fans would admit that there was absolutely no comparison in hindsight! Listening to conversations on the radio, and watching the many tributes that came from individuals from all walks of life over the next following days, it was obvious that Michael Jackson had achieved at least one of his many goals. To simply reach every corner of this planet and touch people with his music. Michael Jackson was a father, musician, entertainer, entrepreneur, businessman, charity fundraiser and humanitarian. Sadly, he did not receive much respect or praise for his work from the media in the last few years, mainly due to the many trials, tribulations and accusations that would plague him until his death. Yes, his fans always showed Jackson how much they appreciated him, but somehow it seemed that this was not enough for him. Jackson was a perfectionist; he seemed to desperately need constant critical acclaim from everybody. It would take his untimely death for such an outpouring of global respect and critical acclaim. Michael Joseph Jackson was the 7th of nine children. (Brothers: Sigmund ‘Jackie’, Toriano ‘Tito’, Jermaine, Marlon, Steven ‘Randy’, and sisters Rebbie, Janet and La-Toya). Michael Jackson began his musical career at the age of 5 as the lead singer of the Jackson 5 who formed in 1964. 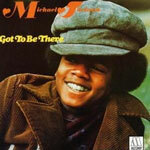 In these early years the Jackson 5, Jackie, Jermaine, Tito, Marlon and lead singer Michael played local clubs and bars in Gary Indiana and moving further afield as there talents grew and they could compete in bigger competitions. From these early days J Michael Jackson would be at the same clubs as big talented stars of their days, such as Jackie Wilson. In 1968, Bobby Taylor and The Vancouvers discovered the Jackson five and from there they got an audition for Berry Gordy of Motown Records. The Jackson 5 signed for Motown and moved to California. Their first 4 singles, “I Want You Back”, “ABC”, “The Love You Save”, and “I'll Be There” all hit No1 on the US Billboard Charts. The Jackson 5 would go on to record 14 albums for Motown Records. Michael would record 4 solo albums for the label. The Jackson 5 stayed with Motown until 1976, wanting more artistic freedom they felt they had to move on and signed up with Epic. 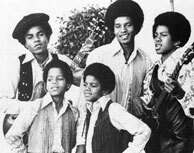 The group name Jackson 5 had to be changed, as it was owned by Motown, so they reverted to The Jacksons as they had be known in the early days. Brother Jermaine married Berry Gordy’s daughter and stayed with Motown. Youngest brother Randy joined in his place. 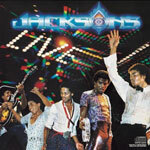 The Jacksons had a number of hit records and in total made 6 albums between the years of 1976 and 1984. Classic albums such as “Destiny” and “Triumph” contain many soul / dance anthems that are still very much on rotation on DJ record decks today. 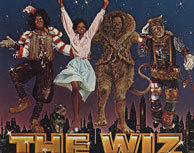 In 1977, Michael Jackson made his first film debut when he starred in the musical ‘The Wiz’ playing Scarecrow with Diana Ross in the lead role of Dorothy. It was at this time Jackson met Quincy Jones who was doing the score for the film. Jackson teamed up with Quincy Jones as his producer for his first solo album with Epic Records. 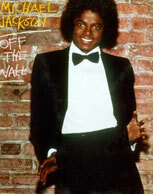 The album titled “Off The Wall” was a big success around the world and the first ever album to release a record breaking 4 No1 singles in the US. 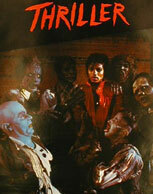 In 1982, Jackson released the world’s largest selling album of all time, “Thriller”. This album produced 7 hit singles, breaking yet again more records, and went on to sell over 50 million copies worldwide. Jackson was keen to use music video or short films as he called them to promote his singles from the album. He worked with the best directors and producers, using the latest technology and special effects. Jackson would request the assistance of ‘American Werewolf In London’ director John Landis for his groundbreaking short film “Thriller”. 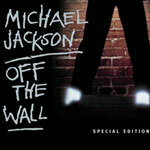 So successful was this production that “The Making Of Michael Jackson’s Thriller” became the world’s largest selling home video combined with soaring album sales. In 1983 Jackson performed the now legendary moonwalk for the first time on the ‘Motown 25 years’ anniversary show. This performance alone set Michael Jackson undoubtedly into the realm of superstardom. December 9, 1984 at the last concert of the Jackson’s Victory Tour, Michael announced he was splitting from the group and going solo. 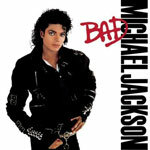 In 1987, Jackson released his much awaited third solo album, titled “Bad”, and launched his record breaking first solo world tour. 1988, Jackson wrote his first autobiography talking for the first time on his childhood and his career. At the end of the 1980s Jackson was named ‘Artist Of The Decade’ for his success off of his “Thriller” and “Bad” albums. In 1991, Jackson signed with Sony Music (the largest recording contract ever) and released his fourth solo album, “Dangerous”. He toured the world again in 1992, taking his concerts to countries that had never before been visited by a pop/rock artist. Jackson also founded the ‘Heal the World Foundation’ to help improve the lives of children across the world. In 1994, Jackson married Lisa Marie Presley, daughter of rock legend Elvis Presley. The marriage only lasted for 19 months, as they divorced in 1996. 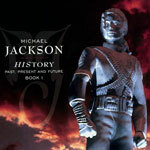 1995 saw Jackson release a fifth solo album, “History”, which was a double album, first half new material and second half greatest hits. Jackson toured again covering a 2-year period. In between legs of the tour on November 14, 1996, Jackson married for his second time to Debbie Rowe who was a nurse who assisted him while he underwent treatment of his skin pigment disorder. Together they had their first child Prince Michael Joseph Jackson jr born on February 13 1997 and a daughter Paris Michael Katherine Jackson born on April 3, 1998. In 1997, Jackson released the remix album “Blood On The Dance Floor” which also contained 5 new songs linked with a 38min film ‘Ghosts’. Jackson would take on 5 different roles in this film using the latest special effects and make-up artistry, combined with his dance and music. In September 2001, Jackson celebrated his 30th anniversary as a solo artist with two concerts to be held in New York, USA. Many artists such as Whitney Houston, Usher, Destiny’s Child, Shaggy and many more performed their own as well as songs penned by Michael. 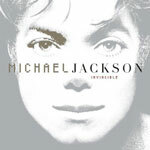 2001 would also see the release of Jackson’s “Invincible” album. 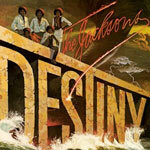 Rumours of rift between Jackson and Sony began not long after this album release with claims that Jackson had accused Sony Music of failing to promote his work. After much controversy and date changes, Michael Jackson was scheduled to perform 50 gigs at London’s 02 Arena from July 2009.Ticket holders are still unsure if refunds will be honoured. Management companies, insurance companies and alike are now in negotiation in attempt to recover incurred losses. Michael Jackson's “Thriller” Album is the biggest selling album of all time, with over 50 million copies sold worldwide. 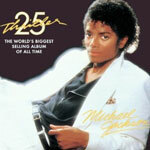 Thriller is also the biggest selling U.S album with sales of 25 million copies. The highest-ever viewing figure was 133.4 million viewers watching the NBC transmission of Super Bowl XXVII on June 31, 1993. 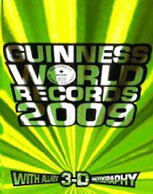 Michael Jackson was spotlighted during the half-time performance. Michael Jackson has sold over 100 million singles and albums outside of the U.S.
Michael Jackson is the first person in the 37-year history of the Billboard chart to enter straight in at No1, with his single “You Are Not Alone”. 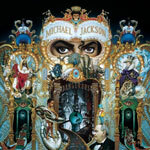 Michael Jackson’s “Bad”, “Dangerous”, and “History” albums all debuted in at No1. Michael has won more awards than any other artist. In 1983 Michael became the first artist to simultaneously hold the number one spots on Billboard's rock albums and rock singles charts, as well as the R&B albums and singles charts. Jackson 5 was the first group to ever have four consecutive No1 singles. 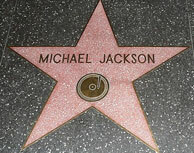 Biography and achievements used by kind permission of www.allmichaeljackson.com, edited by Robin Francis. Additional information Robin Francis © Michael Valentine Studio Ltd.